Running your business isn't always easy. BizFilings is a one-stop-shop for everything your business needs and is always there to help Hertz Business Rewards® members with everything you need. As a Hertz Business Rewards® member you'll save 15% every time you purchase from BizFilings. Enroll today, it's free! 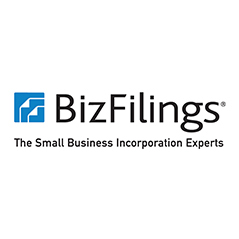 BizFilings is a one-stop-shop for everything your business needs. Their customer service representatives are available Monday through Friday to help answer any questions that you might have before purchasing. If you still have questions, read through the BizFilings Learning Center and learn about which products and services are the right choice for your business. Between their state specific guides, online resources and customer service center, BizFilings is a great resource to help get your business off the ground or take it to the next level. Running your business isn’t always easy. BizFilings is there to help Hertz Business Rewards members with everything they need. Click here to learn more about BizFilings.